Irans Foreign Ministry Spokesman Bahram Qassemi has reacted to Tajik foreign ministers remarks about relations between the two countries, saying Tehran considers its ties with Dushanbe as familial. 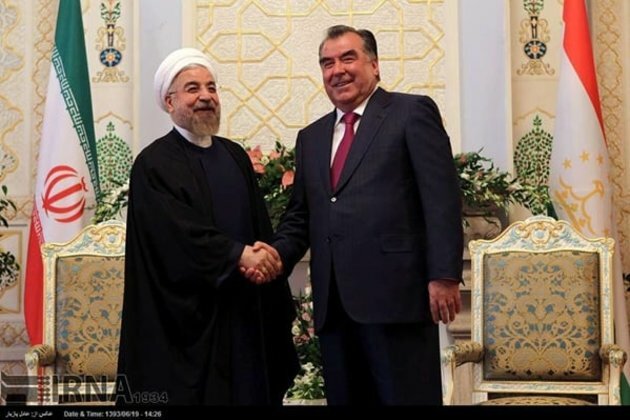 Relations between Iran and Tajikistan are deep and based on shared and old roots. Such bonds, which are legacies of the remote past, cannot be ignored, Qassemi told IRNA Friday. I agree with the remarks made by the Tajik foreign minister in the Islamic Republic of Irans national day ceremony and believe that history, geography, the past and the future and all commonalities among us stress increased cooperation and empathy between the two governments and nations, he said. Principally, Irans policy towards [its] neighbours is an open and quite clear policy based on deepening cooperation in all possible fields and [developing] relations with good neighbourliness and closeness of ties between governments and nations, he noted. We seek a Tajikistan that always enjoys security and stability, is powerful, growing, and developing. The policy of the Islamic Republic of Iran during the years after the countrys independence has been to stand by the Tajik government. This is an approach that we still adopt and has not changed. Iran has not and is not supporting any group that acts against Tajikistans legal bodies and has always sought good and brotherly relations with that government. For us, the independence, territorial integrity and national sovereignty [of Tajikistan] and friendly and brotherly relations between the two governments are a basic priority and principle. We consider our relations with the Tajik government as familial, he said. We hope that, using all available potential capacities and by making the commission for joint cooperation between the two countries more active, we would take effective and shared steps to broaden bilateral relations. Our hearts desire is to increase empathy and broaden relations in all fields and shape a bright future in this regard. Of course, we should be careful and vigilant because our friendly and brotherly relations have always had enemies and ill-wishers and we should vigilantly foil mischievous efforts to damage the two countries relations, he said. Considering the regions conditions and centres that work to expand extremism and terrorism and target security and stability and sovereignty of the countries, collective cooperation should be established to eliminate these threats and this requires a universal and even global will. For its part, Iran has taken steps in this path with full force and has stood by all countries and governments that had been threatened by terrorism and extremism and will keep up this approach, he said. Qassemi was reacting to remarks by Tajikistans Foreign Minister Sirojiddin Muhriddin on Wednesday that the country is taking efforts to improve its relations with Iran. Speaking to reporters, the Tajik minister hailed Iran as the first country that recognized Tajikistans independence in 1991. No one can deny historical and cultural commonalities between our countries, he said. Iran-Tajikistan relations have seen tensions since 2015, when the leader of Tajikistans Islamic Renaissance Party, Muhiddin Kabiri, attended an international conference in Tehran. Tajikistan has banned the party as an "extremist and terrorist organization after it blamed IRPT for 2015 attacks on a police station and an arsenal near Dushanbe that killed 26 people.